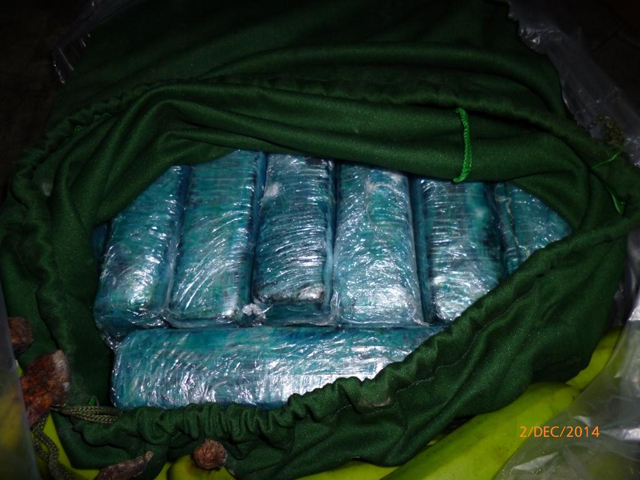 Cocaine with a likely UK street value in excess of £40 million has been seized following an operation involving the National Crime Agency, Border Force and the Irish Garda. The drugs were seized following the search of the cargo vessel Star Stratos at Portsmouth port yesterday evening (Monday 1 December). Approximately 300 kilos were discovered concealed within a shipment of bananas which had originated in Colombia. Investigations are continuing both in the UK and Ireland in conjunction with An Garda Síochána. “Working with our law enforcement partners in the UK and Ireland we have successfully prevented a huge quantity of what is likely to be very high purity cocaine reaching our streets. “Our investigations into the organised crime groups likely to be responsible for this shipment continues. “Border Force officers are on the front line of the fight to stop illegal drugs like cocaine making it on to the UK’s streets and causing harm to our communities.